I am unable to install Kali 2016.2 using a USB. The installation demands a CD-ROM. This cannot be right... Right? 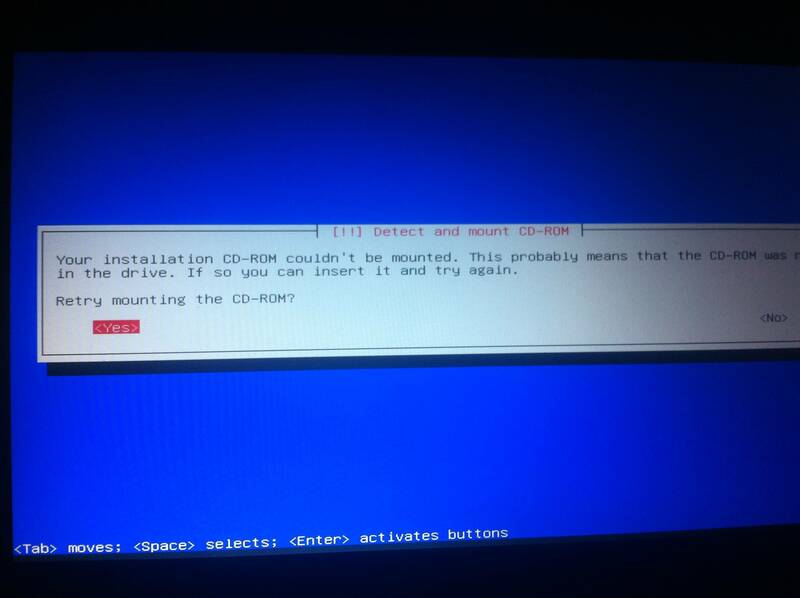 I am using a separate SSD installed in a DVD-drive caddy, and I would like to install Kali on this drive. This is because I want to continue to have the option to use Windows on this laptop, but I do not want to lose space by creating a partition. So I do not have a free CD-ROM drive to install with unless I take out the primary internal drive and this seems like a lot of faffing about to do at 5am when a USB boot would be so much more convenient. I boot from the USB and choose the option to perform a graphical installation. However, less than a minute into the installation process, I am told I need a CDROM to continue installation. No CDROM is found since it is a caddy, and so I have to abort the installation. Is there any way to work around this so that I can have a separate caddy SSD with Kali? Surely I should be able to easily install from a USB in 2016 - half of notebooks these days do not even have CD drives. What am I doing wrong?? Not the answer you're looking for? Browse other questions tagged kali-linux usb-drive ssd install or ask your own question. USB virus scanner, live boot?